Perez, Lara F.; Nielsen, Tove; Rasmussen, Tine Lander; Winsborrow, Monica. Quaternary interaction of cryospheric and oceanographic processes along the central-east Greenland margin. Boreas 2019; Volum 48. ISSN 0300-9483.s 72 - 91.s doi: 10.1111/bor.12340. Hoff, Ulrike; Rasmussen, Tine Lander; Meyer, Hanno; Koc, Nalan; Hansen, Jesper. Palaeoceanographic reconstruction of surface-ocean changes in the southern Norwegian Sea for the last ~130,000 years based on diatoms and with comparison to foraminiferal records. Palaeogeography, Palaeoclimatology, Palaeoecology 2019; Volum 524. ISSN 0031-0182.s 150 - 165.s doi: 10.1016/j.palaeo.2019.03.006. Jessen, Simon Pind; Rasmussen, Tine Lander. Ice rafting patterns on the western Svalbard slope 74–0 ka: Interplay between ice-sheet activity, climate and ocean circulation. Boreas 2019; Volum 48 (1). ISSN 0300-9483.s 236 - 256.s doi: 10.1111/bor.12358. Nielsen, Tove; Rasmussen, Tine Lander. Reconstruction of ice sheet retreat after the Last Glacial maximum in Storfjorden, southern Svalbard. Marine Geology 2018; Volum 402. ISSN 0025-3227.s 228 - 243.s doi: 10.1016/j.margeo.2017.12.003. Yasuhara, Moriaki; Sztybor, Kamila; Rasmussen, Tine Lander; Okahashi, Hisayo; Sato, Runa; Tanaka, Hayato. Cold-seep ostracods from the western Svalbard margin: direct palaeo-indicator for methane seepage?. Journal of Micropalaeontology 2018; Volum 37 (1). ISSN 0262-821X.s 139 - 148.s doi: 10.5194/jm-37-139-2018. Sztybor, Kamila; Rasmussen, Tine Lander. Diagenetic disturbances of marine sedimentary records from methane-influenced environments in the Fram Strait as indications for variation in seep intensity during the last 35 000 years. Boreas 2017; Volum 46 (2). ISSN 0300-9483.s 212 - 228.s doi: 10.1111/bor.12202. Consolaro, Chiara; Rasmussen, Tine Lander; Panieri, Giuliana. Palaeoceanographic and environmental changes in the eastern Fram Strait during the last 14,000 years based on benthic and planktonic foraminifera. Marine Micropaleontology 2017; Volum 139. ISSN 0377-8398.s 84 - 101.s doi: 10.1016/j.marmicro.2017.11.001. Sztybor, Kamila; Rasmussen, Tine Lander. Late glacial and deglacial palaeoceanographic changes at Vestnesa Ridge, Fram Strait: Methane seep versus non-seep environments. Palaeogeography, Palaeoclimatology, Palaeoecology 2017; Volum 476. ISSN 0031-0182.s 77 - 89.s doi: 10.1016/j.palaeo.2017.04.001. Hansen, Jesper; Hoff, Ulrike; Sztybor, Kamila; Rasmussen, Tine Lander. Taxonomy and palaeoecology of two Late Pleistocene species of Vesicomyid bivalves from cold methane seeps at Svalbard (79°N). Journal of molluscan studies 2017; Volum 83 (3). ISSN 0260-1230.s 270 - 279.s doi: 10.1093/mollus/eyx014. Rasmussen, Tine Lander; Thomsen, Erik. Ecology of deep-sea benthic foraminifera in the North Atlantic during the last glaciation: food or temperature control. Palaeogeography, Palaeoclimatology, Palaeoecology 2017; Volum 472. ISSN 0031-0182.s 15 - 32.s doi: 10.1016/j.palaeo.2017.02.012. Chauhan, Teena; Rasmussen, Tine Lander; Noormets, Riko. Palaeoceanography of the Barents Sea continental margin, north of Nordaustlandet, Svalbard, during the last 74 ka. Boreas 2016; Volum 45 (1). ISSN 0300-9483.s 76 - 99.s doi: 10.1111/bor.12135. Rasmussen, Tine Lander; Thomsen, Erik; Moros, Matthias. North Atlantic warming during Dansgaard-Oeschger events synchronous with Antarctic warming and out-of-phase with Greenland climate. (fulltekst) Scientific Reports 2016; Volum 6:20535. ISSN 2045-2322.s doi: 10.1038/srep20535. Rasmussen, Tine Lander; Thomsen, Erik. Paleoceanographic development in Storfjorden, Svalbard, during the deglaciation and Holocene: evidence from benthic foraminiferal records. Boreas 2015; Volum 44 (1). ISSN 0300-9483.s 24 - 44.s doi: 10.1111/bor.12098. Griggs, Adam J.; Davies, Siwan M.; Abbott, Peter M.; Coleman, Mark; Palmer, Adrian P.; Rasmussen, Tine Lander; Johnston, Richard. Visualizing tephra deposits and sedimentary processes in the marine environment: The potential of X-ray microtomography. Geochemistry Geophysics Geosystems 2015; Volum 16 (12). ISSN 1525-2027.s 4329 - 4343.s doi: 10.1002/2015GC006073. Chauhan, Teena; Noormets, Riko; Rasmussen, Tine Lander. Glaciomarine sedimentation and bottom current activity on the north-western and northern continental margin of Svalbard during the late Quaternary. Geo-Marine Letters 2015; Volum 36. ISSN 0276-0460.s 81 - 99.s doi: 10.1007/s00367-015-0430-6. Jessen, Simon Pind; Rasmussen, Tine Lander. Sortable silt cycles in Svalbard slope sediments 74–0 ka. Journal of Quaternary Science 2015; Volum 30 (8). ISSN 0267-8179.s 743 - 753.s doi: 10.1002/jqs.2807. Rasmussen, Tine Lander; Thomsen, Erik; Skirbekk, Kari; Slubowska-Woldengen, Marta; Klitgaard Kristensen, Dorthe; Koc, Nalan. Spatial and temporal distribution of Holocene temperature maxima in the northern Nordic seas: interplay of Atlantic-, Arctic- and polar water masses. Quaternary Science Reviews 2014; Volum 92. ISSN 0277-3791.s 280 - 291.s doi: 10.1016/j.quascirev.2013.10.034. Yasuhara, Moriaki; Okahashi, Hisayo; Cronin, Thomas M.; Rasmussen, Tine Lander; Hunt, Gene. Response of deep-sea biodiversity to abrupt deglacial and Holocene climate changes in the North Atlantic Ocean. Global Ecology and Biogeography 2014; Volum 23 (9). ISSN 1466-822X.s 957 - 967.s doi: 10.1111/geb.12178. Capron, Emilie; Govin, Aline; Stone, Emma J.; Masson-Delmotte, Valérie; Mulitza, Stefan; Otto-Bliesner, Bette; Rasmussen, Tine Lander; Sime, Louise C.; Waelbroeck, Claire; Wolff, Eric W.. Temporal and spatial structure of multi-millennial temperature changes at high latitudes during the Last Interglacial. Quaternary Science Reviews 2014; Volum 103. ISSN 0277-3791.s 116 - 133.s doi: 10.1016/j.quascirev.2014.08.018. Rasmussen, Tine Lander; Thomsen, Erik. Brine formation in relation to climate changes and ice retreat during the last 15,000 years in Storfjorden, Svalbard, 76–78°N. Paleoceanography 2014; Volum 29 (10). ISSN 0883-8305.s 911 - 929.s doi: 10.1002/2014PA002643. Nielsen, Tove; Laier, Troels; Kuijpers, Antoon; Rasmussen, Tine Lander; Mikkelsen, Naja E.; Nørgård-Pedersen, Niels. Fluid flow and methane occurrences in the Disko Bugt area offshore West Greenland: indications for gas hydrates?. Geo-Marine Letters 2014; Volum 34 (6). ISSN 0276-0460.s 511 - 523.s doi: 10.1007/s00367-014-0382-2. Davies, Siwan M.; Abbott, Peter M.; Meara., Rhian H.; Pearce, Nicholas J.G. ; Austin, William E.N. ; Chapman, Mark R.; Svensson, Anders; Bigler, Matthias; Rasmussen, Tine Lander; Rasmussen, Sune O.; Farmer, Elizabeth. A North Atlantic tephrostratigraphical framework for 130–60 ka b2k: new tephra discoveries, marine-based correlations, and future challenges. Quaternary Science Reviews 2014; Volum 106. ISSN 0277-3791.s 101 - 121.s doi: 10.1016/j.quascirev.2014.03.024. Griggs, Adam J.; Davies, Siwan M.; Abbott, Peter M.; Rasmussen, Tine Lander; Palmer, A. P.. Optimising the use of marine tephrochronology in the North Atlantic: a detailed investigation of the Faroe Marine Ash Zones II, III and IV. Quaternary Science Reviews 2014; Volum 106. ISSN 0277-3791.s 122 - 139.s doi: 10.1016/j.quascirev.2014.04.031. Abbott, Peter M.; Austin, William E.N. ; Davies, Siwan M.; Pearce, Nicholas John Geoffrey; Rasmussen, Tine Lander; Wastegård, Stefan; Brendryen, Jo. Re-evaluation and extension of the Marine Isotope Stage 5 tephrostratigraphy of the Faroe Islands region: The cryptotephra record. Palaeogeography, Palaeoclimatology, Palaeoecology 2014; Volum 409. ISSN 0031-0182.s 153 - 168.s doi: 10.1016/j.palaeo.2014.05.004. Rasmussen, Tine Lander; Thomsen, Erik; Nielsen, Tove. Water mass exchange between the Nordic Seas and the Arctic Ocean on millennial time scale during MIS 4–2. Geochemistry Geophysics Geosystems 2014; Volum 15. ISSN 1525-2027.s 530 - 544.s doi: 10.1002/2013GC005020. Wastegård, Stefan; Rasmussen, Tine Lander. Faroe Marine Ash Zone IV – a new MIS3 ash zone on the Faroe Islands margin. Geological Society Special Publication 2014; Volum 398. ISSN 0305-8719.s 81 - 93.s doi: 10.1144/SP398.3. Olsen, Jesper; Rasmussen, Tine Lander; Reimer, Paula J.. North Atlantic marine radiocarbon reservoir ages through Heinrich event H4: a new method for marine age model construction. Geological Society Special Publication 2014; Volum 398. ISSN 0305-8719.s 95 - 112.s doi: 10.1144/SP398.2. Chauhan, Teena; Rasmussen, Tine Lander; Noormets, Riko; Jacobsson, Martin; Hogan, K.A.. Glacial history and paleoceanography of the southern Yermak Plateau since 132 ka BP. Quaternary Science Reviews 2014; Volum 92. ISSN 0277-3791.s 155 - 169.s doi: 10.1016/j.quascirev.2013.10.023. Zamelczyk, Katarzyna; Rasmussen, Tine Lander; Husum, Katrine; Hald, Morten. Marine calcium carbonate preservation vs. climate change over the last two millennia in the Fram Strait: Implications for planktic foraminiferal paleostudies. Marine Micropaleontology 2013; Volum 98. ISSN 0377-8398.s 14 - 27.s doi: 10.1016/j.marmicro.2012.10.001. Rasmussen, Tine Lander; Thomsen, Erik. Pink marine sediments reveal rapid ice melt and Arctic meltwater discharge during Dansgaard-Oeschger warmings. Nature Communications 2013; Volum 4. ISSN 2041-1723.s doi: 10.1038/ncomms3849. Hormes, Anne; Gjermundsen, Endre; Rasmussen, Tine Lander. From mountain top to the deep sea - Deglaciation in 4D of the northwestern Barents Sea ice sheet. Quaternary Science Reviews 2013; Volum 75. ISSN 0277-3791.s 78 - 99.s doi: 10.1016/j.quascirev.2013.04.009. Rørvik, Kari-Lise; Rasmussen, Tine Lander; Hald, Morten; Husum, Katrine. Intermediate water ventilation in the Nordic seas during MIS 2. Geophysical Research Letters 2013; Volum 40 (9). ISSN 0094-8276.s 1805 - 1810.s doi: 10.1002/grl.50325. Kaufman, D.; Cooper, K.; Behl, R.; Billups, K.; Bright, J.; Gardner, K.; Hearty, P.; Jacobsson, Martin; Mendes, I.; O'Leary, M.; Polyak, Leonid; Rasmussen, Tine Lander; Rosa, F.; Schmidt, M.. Amino acid racemization in mono-specific foraminifera from Quaternary deep-sea sediments. Quaternary Geochronology 2013; Volum 16. ISSN 1871-1014.s 50 - 61.s doi: 10.1016/j.quageo.2012.07.006. Klitgaard Kristensen, Dorthe; Rasmussen, Tine Lander; Koc, Nalan. Palaeoceanographic changes in the northern Barents Sea during the last 16 000 years - new constraints on the last deglaciation of the Svalbard-Barents Sea Ice Sheet. Boreas 2013; Volum 42 (3). ISSN 0300-9483.s 798 - 813.s doi: 10.1111/j.1502-3885.2012.00307.x. ruther, denise; Bjarnadóttir, Lilja Rún; Junttila, Juho; Husum, Katrine; Rasmussen, Tine Lander; Lucchi, Renata Giulia; Andreassen, Karin. Pattern and timing of the northwestern Barents Sea Ice Sheet deglaciation and indications of episodic Holocene deposition. Boreas 2012; Volum 41 (3). ISSN 0300-9483.s 494 - 512.s doi: 10.1111/j.1502-3885.2011.00244.x. Zamelczyk, Katarzyna; Rasmussen, Tine Lander; Husum, Katrine; Haflidason, Haflidi; de Vernal, Anne; Ravna, Erling J Krogh; Hald, Morten; Hillaire-Marcel, Claude. Paleoceanographic changes and calcium carbonate dissolution in the central Fram Strait during the last 20 ka. Quaternary Research 2012; Volum 78 (3). ISSN 0033-5894.s 405 - 416.s doi: 10.1016/j.yqres.2012.07.006. Rasmussen, Tine Lander; Thomsen, Erik. Changes in planktic foraminiferal faunas, temperature and salinity in the Gulf Stream during the last 30,000 years: influence of meltwater via the Mississippi River. Quaternary Science Reviews 2012; Volum 33. ISSN 0277-3791.s 42 - 54.s doi: 10.1016/j.quascirev.2011.11.019. Rasmussen, Tine Lander; Thomsen, Erik; Nielsen, Tove; Wastegård, Stefan. Atlantic surface water inflow to the Nordic seas during the Pleistocene-Holocene transition (mid-late Younger Dryas and Pre-Boreal periods, 12 450-10 000 a BP). Journal of Quaternary Science 2011; Volum 26 (7). ISSN 0267-8179.s 723 - 733.s doi: 10.1002/jqs.1496. Davies, SM; Wastegard, S; Abbott, PM; Barbante, C; Bigler, M; Johnsen, SJ; Rasmussen, Tine Lander; Steffensen, JP; Svensson, A. Tracing volcanic events in the NGRIP ice-core and synchronising North Atlantic marine records during the last glacial period. Earth and Planetary Science Letters 2010; Volum 294 (1-2). ISSN 0012-821X.s 69 - 79.s doi: 10.1016/j.epsl.2010.03.004. Rasmussen, Tine Lander; Thomsen, Erik. Holocene temperature and salinity variability of the Atlantic Water inflow to the Nordic seas. The Holocene 2010; Volum 20 (8). ISSN 0959-6836.s 1223 - 1234.s doi: 10.1177/0959683610371996. Jessen, Simon Pind; Rasmussen, Tine Lander; Nielsen, Tove; Solheim, Anders. A New Late Weichselian And Holocene Marine Chronology For The Western Svalbard Slope 30,000 - 0 Cal Years BP. Quaternary Science Reviews 2010; Volum 29 (9-10). ISSN 0277-3791.s 1301 - 1312.s doi: 10.1016/j.quascirev.2010.02.020. Rasmussen, Tine Lander; Thomsen, Erik. Ventilation changes in intermediate water on millennial time scales in the SE Nordic seas, 65-14 kyr BP. Geophysical Research Letters 2009; Volum 36 (1). ISSN 0094-8276.s doi: 10.1029/2008GL036563. Rasmussen, Tine Lander; Thomsen, Erik. Stable isotope signals from brines in the Barents Sea: Implications for brine formation during the last glaciation. Geology 2009; Volum 37 (10). ISSN 0091-7613.s 903 - 906.s doi: 10.1130/G25543A.1. Rasmussen, Tine Lander; Thomsen, Erik. Warm Atlantic surface water inflow to the Nordic seas 34-10 calibrated ka BP. Paleoceanography 2008; Volum 23. ISSN 0883-8305.s doi: 10.1029/2007PA001453. Slubowska-Woldengen, Marta; Koc, Nalan; Koc, N; Rasmussen, Tine Lander; Klitgaard-Kristensen, D; Klitgaard-Kristensen, Dorthe; Hald, Morten; Jennings, Anne E.. Time-slice reconstructions of ocean circulation changes on the continental shelf in the Nordic and Barents Seas during the last 16,000 cal yr BP. Quaternary Science Reviews 2008; Volum 27. ISSN 0277-3791.s 1476 - 1492.s doi: 10.1016/j.quascirev.2008.04.015. Thomsen, Erik; Rasmussen, Tine Lander. Coccolith-agglutinating foraminifera from the early Cretaceous and how they constructed their tests. Journal of Foraminiferal Research 2008; Volum 38. ISSN 0096-1191.s 193 - 214. Davies, SM; Wastegard, S; Rasmussen, Tine Lander; Svensson, A.; Johnsen, S.J. ; Steffensen, J.P.; Andersen, K.K.. Identification of the Fugloyarbanki tephra in the NGRIP ice core: a key tie-point for marine and ice-core sequences during the last glacial period. Journal of Quaternary Science 2008; Volum 23. ISSN 0267-8179.s 409 - 414.s doi: 10.1002/jqs.1182. Rasmussen, Tine Lander; Thomsen, Erik; Slubowska-Woldengen, Marta; Slubowska, Martha; Jessen, Simon; Solheim, Anders; Koc, Nalan. Paleoceanographic evolution of the SW Svalbard margin (76 degrees N) since 20,000 C-14 yr BP. Quaternary Research 2007; Volum 67. ISSN 0033-5894.s 100 - 114.s doi: 10.1016/j.yqres.2006.07.002. Nielsen, Tove; Rasmussen, T.L. ; Ceramicola, S; Kuijpers, A. Quaternary sedimentation, margin architecture and ocean circulation variability around the Faroe Islands, North Atlantic. Quaternary Science Reviews 2007; Volum 26 (7-8). ISSN 0277-3791.s 1016 - 1036.s doi: 10.1016/j.quascirev.2006.12.005. Slubowska-Woldengen, Marta; Slubowska, Martha; Rasmussen, T.L. ; Koc, N; Koc, Nalan; Klitgaard-Kristensen, D; Nilsen, Frank; Solheim, Anders. Advection of Atlantic Water to the western and northern Svalbard shelf since 17,500 cal yr BP. Quaternary Science Reviews 2007; Volum 26 (3-4). ISSN 0277-3791.s 463 - 478.s doi: 10.1016/j.quascirev.2006.09.009. Wastegård, Stefan; Rasmussen, Tine Lander; Kuijpers, Antoon; Nielsen, Tove; Van Weering, Tjeerd C.E.. Composition and origin of ash zones from Marine Isotope Stages 3 and 2 in the North Atlantic. Quaternary Science Reviews 2006; Volum 25. ISSN 0277-3791. Peersen, Rune; Haflidason, Haflidi; Solheim, Anders; Rasmussen, Tine Lander. The last deglaciation of the Svalbard margin, with special focus on sedimentary processes. 2005 ISBN 82-92394-22-2.s 93 - 93. Wastegård, Stefan; Björck, Svante; Greve, Charlotte; Rasmussen, Tine Lander. A tephra based correlation between the Faeroe Islands and the Norwegian Sea raises questions about chronological relationships during the last interglacial. Terra Nova 2005; Volum 17. ISSN 0954-4879.s 7 - 12.s doi: 10.1111/j.1365-3121.2004.00578. Rasmussen, Tine Lander; Thomsen, Erik. Foraminifera and paleoenvironment of the PlioPleistocene Kalithea Bay section, Rhodes (Greece): Evidence for cyclic sedimentation andshallow-water sapropels. Cushman Foundation for Foraminiferal Research Special Publication Series 2005; Volum 39. ISSN 0070-2242.s 15 - 51. Rasmussen, Tine Lander. Systematic paleontology and ecology of benthic foraminifera fromthe Plio-Pleistocene Kalithea Bay Section, Rhodes (Greece). Cushman Foundation for Foraminiferal Research Special Publication Series 2005; Volum 39. ISSN 0070-2242.s 53 - 157. Thomsen, Erik; Rasmussen, Tine Lander; Hastrup, Annette. Overview of the Plio-Pleistocene geologyof Rhodes, Greece. Lithology, calcaereous nannofossil biostratigraphy, and sampling of theKallithea Bay section. Cushman Foundation for Foraminiferal Research Special Publication Series 2005; Volum 39. ISSN 0070-2242.s 3 - 13. Thomsen, Erik; Rasmussen, Tine Lander; Hastrup, Annette. Synthesis of paleoenvironmental interpretations based on foraminifera and ostracods of the Plio-Pleistocene Kallithea Bay section, Rhodes, Greece. Cushman Foundation for Foraminiferal Research Special Publication Series 2005; Volum 39. ISSN 0070-2242.s 281 - 290. Slubowska, Marta A.; Koc, Nalan; Rasmussen, Tine Lander; Klitgaard Kristensen, Dorthe. Changes in the flow of Atlantic water into the Arctic Ocean since the last deglaciation: Evidence from the northern Svalbard continental margin, 80°N. Paleoceanography 2005; Volum 20. ISSN 0883-8305.s 1 - 15.s doi: 10.1029/2005PA001141. Wastegård, S.; Björck, S.; Greve, C; Rasmussen, Tine L.. A tephra-based correlation between the Faroe Islands and the Norwegian Sea raises questions about chronological relationships during the last interglacial. Terra Nova 2005; Volum 17 (1). ISSN 0954-4879.s 7 - 12.s doi: 10.1111/j.1365-3121.2004.00578.x. Rasmussen, Tine Lander; Thomsen, Erik. The role of the North Atlantic Drift in the millennial timescale glacial climate fluctuations. Palaeogeography, Palaeoclimatology, Palaeoecology 2004; Volum 210. ISSN 0031-0182.s 101 - 116. Moros, Matthias; McManus, J.F. ; Rasmussen, Tine Lander; Kuijpers, Antoon; Dokken, Trond; Snowball, Ian; Nielsen, Tove; Jansen, Eystein. Quartz content and the quartz-to-plagioclase ratiodetermined by X-ray diffraction: a proxy for ice rafting in the northern NorthAtlantic?. Earth and Planetary Science Letters 2004; Volum 218. ISSN 0012-821X.s 389 - 401. Rasmussen, Tine Lander; Oppo, Delia W.; Thomsen, Erik; Lehman, Scott J.. Deep-searecords from the SE Labrador Sea: timing of ocean circulation changes and icerafting events during the last 150,000 years. Paleoceanography 2003. ISSN 0883-8305.s doi: 10.1029/2002PA000764. Rasmussen, Tine Lander; Wastegård, Stefan; Kuijpers, Antoon; Van Weering, Tjeerd C.E. ; Heinemeier, Jan; Thomsen, Erik. Stratigraphy and distribution of tephra layers in marinesediment cores from the Faeroe Islands, North Atlantic. Marine Geology 2003; Volum 199. ISSN 0025-3227.s 263 - 277. Rasmussen, Tine Lander; Thomsen, Erik; Kuijpers, Antoon; Troelstra, Simon R.; Prins, Maarten. Millennial-scale glacial variability versus Holocene stability: changes in planktic andbenthic foraminifera faunas and ocean circulation in the North Atlantic during thelast 60,000 years. Marine Micropaleontology 2003; Volum 47. ISSN 0377-8398.s 143 - 176. Rasmussen, Tine Lander; Thomsen, Erik; Kuijpers, Antoon; Wastegård, Stefan. . Latewarming and early cooling of the sea surface of the SE Norwegian Sea during MIS5e (Eemian interglacial). Quaternary Science Reviews 2003; Volum 22. ISSN 0277-3791.s 809 - 821. Knutz, Paul C.; Zahn, Reinar; Hall, Ian R.; Rasmussen, Tine Lander; Kuijpers, Antoon; Shackleton, Nicholas J.. Multi decadal ocean variability and NW European ice sheet surges during the last deglaciation. Geochemistry Geophysics Geosystems 2002; Volum 3 (12). ISSN 1525-2027.s doi: 10.1029/2002GC000351. Rasmussen, Tine Lander; Bäckström, D.; Heinemeier, Jan; Kristensen, Dorthe Klitgaard; Knutz, P.C. ; Kuijpers, A.; Lassen, S.; Thomsen, E.; Troelstra, S.R. ; van Wearing, T.C.E.. The Faroe-Shetland Gateway: Late Quaternary water mass exchange between the Nordic seas and the northeastern Atlantic. Marine Geology 2002; Volum 188 (1-2). ISSN 0025-3227.s 165 - 192. Thomsen, Erik; Rasmussen, Tine Lander; Hastrup, Annette. Calcaerous nannofossil, ostracode and foraminifera biostratigraphy of Plio-Pleistocene deposits at Faliraki Bay, Rhodes (Greece), with a correlation to the Vrica section (Italy). Journal of Micropalaeontology 2001; Volum 20. ISSN 0262-821X.s 143 - 154. Wastegård, Stefan; Rasmussen, Tine Lander. New North Atlantic tephra horizons fromisotope stage 5: A potential to correlate between terrestrial, marine and ice-core archives. Quaternary Science Reviews 2001; Volum 20. ISSN 0277-3791.s 1587 - 1593. Rasmussen, Tine Lander; Balbon, Estelle; Thomsen, Erik; Labeyrie, Laurent; Van Weering, Tjeerd C.E.. Climate records and changes in deep outflow from the Norwegian Sea ~150-55 ka. Terra Nova 1999; Volum 11. ISSN 0954-4879.s 61 - 66. Klitgaard Kristensen, Dorthe; Rasmussen, Tine Lander; Haflidason, Haflidi; Sejrup, Hans-Petter; Van Weering, Tjeerd C.E.. Rapid changes in the oceanic fronts in the Norwegian Sea during the last deglaciation: implications for the Younger Dryas event. Marine Geology 1998; Volum 152. ISSN 0025-3227.s 177 - 188. Abrantes, Fatima; Haflidason, Haflidi; Rasmussen, Tine Lander; Klitgaard Kristensen, Dorthe; Loncaric, Neven; Gaspar, Luis. Sediment fluxes along the NE European Margin: inferring hydrological changes between 20 and 8 kyr. Marine Geology 1998; Volum 152. ISSN 0025-3227.s 7 - 23. Rasmussen, Tine Lander; Thomsen, Erik; Van Weering, Tjeerd C.E.. Cyclic changes in sedimentation on the Faeroe Drift 53-9 kyr BP related to climate variations. Geological Society Special Publication 1998; Volum 129. ISSN 0305-8719.s 255 - 267. Rasmussen, Tine Lander; Van Weering, Tjeerd C.E. ; Labeyrie, Laurent. Climatic instability, ice sheets andocean dynamics at high northern latitudes during the last glacial period (58-10 ka BP). Quaternary Science Reviews 1997; Volum 16. ISSN 0277-3791.s 71 - 80. Björck, Svante; Kromer, B.; Johnsen, Sigfus J.; Bennike, Ole; Hammerlund, Dan; Lemdahl, G.; Possnert, G.; Rasmussen, Tine Lander; Wohlfarth, Barbara; Hammer, Claus U.; Spurk, M.. Synchronised terrestrial-atmospheric records around the North Atlantic. Science 1996; Volum 274. ISSN 0036-8075.s 1155 - 1160. Rasmussen, Tine Lander; Thomsen, Erik; Van Weering, Tjeerd C.E. ; Labeyrie, Laurent. Rapid changes in surface and deep water conditions at the Faeroe Margin during the last 58,000 years. Paleoceanography 1996; Volum 11. ISSN 0883-8305.s 757 - 771. Rasmussen, Tine Lander; Thomsen, Erik; Labeyrie, Laurent; Van Weering, Tjeerd C.E.. Circulation changes in the Faeroe-Shetland Channel correlating with cold events during the last glacial period (58-10 ka). Geology 1996; Volum 24. ISSN 0091-7613.s 937 - 940. Rasmussen, Tine Lander; Van Weering, Tjeerd C.E. ; Labeyrie, Laurent. High resolution stratigraphy of the Faeroe-Shetland Channel and its relation to North Atlantic paleoceanography: the last 87 ka. Marine Geology 1996; Volum 131. ISSN 0025-3227.s 75 - 88. Rasmussen, Tine Lander; Thomsen, E.. The riddle of the ice age’s abrupt climate changes. 2015 (1) ISBN 978-87-993600-9-3. Rasmussen, Tine Lander; Thomsen, E.. Gåden om istidens bratte klimaskift. 2015 (1) ISBN 978-87-993600-9-3. Rasmussen, Tine Lander; Laberg, Jan Sverre; Ofstad, Siri; Rydningen, Tom Arne; Åström, Emmelie Karin Linnea; El Bani Altuna, Naima; Lasabuda, Amando Putra Ersaid; Carroll, Michael Leslie. Cruise report - AMGG Cruise to the northern and eastern Svalbard margin on R/V Helmer Hanssen, August 31st – September 12th, 2018. 2018. Ofstad, Siri; Zamelczyk, Katarzyna; Chierici, Melissa; Fransson, Agneta; Kimoto, Katsunori; Rasmussen, Tine Lander. MXCT Study of Planktic Foraminifera from the Barents Sea. Marine Ecosystem Dynamics Research Group's Seminar 2018-05-18 - 2018. Ofstad, Siri; Zamelczyk, Katarzyna; Kimoto, Katsunori; Chierici, Melissa; Fransson, Agneta; Rasmussen, Tine Lander. Methane-induced Ocean Acidification and Planktic Foraminifera Calcification in the Northern Barents Sea. 33rd International Symposium on Okhotsk Sea & Polar Oceans 2018-02-17 - 2018-02-22 2018. Ofstad, Siri; Zamelczyk, Katarzyna; Chierici, Melissa; Fransson, Agneta; Rasmussen, Tine Lander. Methane-induced Ocean Acidification and Planktic Foraminifera Calcification. Marine Ecosystem Dynamics Research Group's Seminar 2018-01-26 - 2018. Rasmussen, Tine Lander; Zamelczyk, Katarzyna; Paavilainen, Anne; Meilland, Julie; Greco, Mattia. Cruise report GEO-3111 Reconstructing Quaternary Marine Climate and Environments and GEO-3122 Micropaleontology on R/V Helmer Hanssen, October 25-27, 2018. 2018. Rasmussen, Tine Lander; El Bani Altuna, Naima; Sen, Arunima; Chitkara, Cheshtaa; Åström, Emmelie Karin Linnea. CAGE WP3 and WP6 cruise to outer Kvalsund collecting tubeworms on R/V Johan Ruud, February 1, 2018. 2018. Rasmussen, Tine Lander. Ocean acidification effects on planktonic calcifiers and biological pump efficiency. Nansen Legacy Annual Meeting, Bergen November 20-22, 2018 2018-11-20 - 2018-11-22 2018. Panieri, Giuliana; Andreassen, Karin; Bünz, Stefan; Winsborrow, Monica; Svenning, Mette Marianne; Ferré, Benedicte; Knies, Jochen; Rasmussen, Tine Lander. Gas hydrate in the arctic: past, present and future. 14th International Conference on Gas in Marine Sediments GIMS 14 2018-10-14 - 2018-10-20 2018. Rasmussen, Tine Lander; Nielsen, Tove; Ofstad, Siri; Åström, Emmelie Karin Linnea; El Bani Altuna, Naima; Laier, Troels; Sen, Arunima; Chitkara, Cheshtaa; Frolova, Anastasiia; Mamadzhanian, Anna. CAGE-18-3 Cruise to the Barents Sea, Storfjorden Trough, East Greenland Ridge (Leg 1, 2), Arctic Ocean, Vestnesa Ridge, and PKF (Leg 3). 2018. Seidenkrantz, Marit-Solveig; Andersen, Jan R.; Andresen, Katrine Juul; Bendtsen, Jørgen; Brice, Camille; Ellegaard, Marianne; Eriksen, Lasse Nygaard; Gariboldi, Karen; LeDuc, Cynthia; Mathiasen, Anders M.; Nielsen, Tove; Ofstad, Siri; Pearce, Christof; Rasmussen, Tine Lander; Ribeiro, Sofia; Rysgaard, Søren; Røy, Hans; Scholze, Caroline; Schultz, Mads; Wangner, David. NorthGreen2017 – a marine research expedition to NE Greenland onboard ‘R/V Dana’. Cruise Report. 2018. Matteis, Felix Wolfgang; Rasmussen, Tine Lander. Climate reconstruction during the Last Glacial Maximum based on a marine sediment core from Vestnesa Ridge, Svalbard. 2018. Ofstad, Siri; Zamelczyk, Katarzyna; Kimoto, Katsunori; Chierici, Melissa; Fransson, Agneta; Rasmussen, Tine Lander. Polar planktonic foraminiferal tests and carbonate chemistry – a comparison between paleo-proxies and MXCT analysis. FORAMS2018 2018-06-17 - 2018-06-22 2018. Rasmussen, Tine Lander. Food is good – if temperature is right: Most North Atlantic benthic foraminiferal species at intermediate water depth respond to temperature more than to food changes. FORAMS2018 2018-06-17 - 2018-06-22 2018. Jernas, Patrycja Ewa; Rasmussen, Tine Lander. Paleo-oceanographic evolution at the edge of Arctic Ocean. Orkana Forlag 2018 ISBN 978-82-8104-299-5.s 79 - 91. Eriksen, Lasse N.; Andresen, Katrine J.; Nielsen, Tove; Pearce, Christof; Rasmussen, Tine Lander; Ribeiro, Sofia; Rysgaard, Søren; Røy, Hans; Seidenkrantz, Marit-Solveig. The Young Sound fjord system, NE Greenland – Insights from new marine shallow seismic and core data collected during the NorthGreen2017 Expedition. 33rd Nordic geological Winter Meeting, Copenhagen January 10-12, 2018 2018-01-10 - 2018-01-12 2018. Eriksen, Lasse N.; Andresen, Katrine J.; Nielsen, Tove; Pearce, Christof; Rasmussen, Tine Lander; Røy, Hans; Seidenkrantz, Marit-Solveig. The general seafloor morphology of the NE Greenland shelf – Insights from new marine shallow seismic and core data collected during the NorthGreen2017 Expedition. 33rd Nordic Geological Winter Meeting 2018-01-10 - 2018-01-12 2018. Åsheim, Jarl-Eirik Fløystad; Rasmussen, Tine Lander. Changes in paleoceanography and methane release in relation to past climatic variability at Vestnesa Ridge, Svalbard. (fulltekst) 2017. Ofstad, Siri; Zamelczyk, Kasia; Chierici, Melissa; Fransson, Agneta; Serov, Pavel; Rasmussen, Tine Lander. Methane-induced Ocean Acidification in the Northern Barents Sea. Arctic Change 2017 2017-12-11 - 2017-12-15 2017. Rasmussen, Tine Lander. CAGE-17-1-Leg 2 Cruise Report. 2017. Rasmussen, Tine Lander. CAGE-17-1-Leg 1 Cruise Report. 2017. Laier, Troels; Rasmussen, Tine Lander; Sztybor, Kamila; Nielsen, Tove. Gas migration through a 150 m hydrate stability zone off Svalbard results in local shallow ‘secondary’ hydrate formation. 9th International Conference on Gas Hydrates 2017-06-25 - 2017-06-30 2017. Ofstad, Siri; Zamelczyk, Kasia; Chierici, Melissa; Fransson, Agneta; Rasmussen, Tine Lander. Ocean Acidification in the Fram Strait-Barents Sea Region – Effects on Modern Planktic Foraminifera. Ecosystem Studies of Sub-Arctic and Arctic Seas - ESSAS 2017-06-11 - 2017-06-15 2017. Baker, May; Rasmussen, Tine Lander; Zamelczyk, Kasia; Junttila, Juho. Reconstructing the Holocene: Benthic Foraminifera as a Proxy for the Paleoceanography of the Nordic Seas. (fulltekst) 2017. Copeland, William Joseph; Rasmussen, Tine Lander; Junttila, Juho. Heinrich events of the late Pleistocene; evidence from a sediment core west of Jan Mayen. An analogue to present day ice sheet collapse?. (fulltekst) 2017. Gabrielsen, Linda; Rasmussen, Tine Lander; Junttila, Juho. Study of millennial scale paleoclimatic and paleoceanographic changes in conjunction with variations in the East Greenland Current during the late Quaternary. (fulltekst) 2017. Danielsen, Ida Kristin; Rasmussen, Tine Lander. Paleoceanographic development during the last deglaciation and Holocene, over the Bear Island slide scar, SW Barents Sea. 2017. Sztybor, Kamila; Rasmussen, Tine Lander. Late glacial and deglacial paleoceanographic and environmental changes at Vestnesa Ridge, Fram Strait: challenges in reading methane-influenced sedimentary records. 2017. Rydningen, Tom Arne; Rasmussen, Tine Lander; Meilland, Julie; Ofstad, Siri; Osti, Giacomo; Schneider, Andrea; Schreck, Michael. CRUISE REPORT: Educational cruises to Rebbenesdjupet, Hamrefjorden, Råsa, Helgøyfjorden, Malangen and Målselvfjorden. GEO-3111 Reconstructing Marine Climate and Environments GEO-3121 Marine Geology and GEO-3122 Micropaleontology on R/V Helmer Hanssen, October 8th-10th and 13th-15th, 2016. 2016. Rasmussen, Tine Lander; Thomsen, Erik; Moros, Matthias. Gradual Warming in the North Atlantic during D-O Events Synchronous with Antarctic and Southern Hemisphere Warmings. AGU Fall Meeting 2016 2016-12-12 - 2016-12-16 2016. Nielsen, Tove; Rasmussen, Tine Lander. Ice retreat and deglaciation history of Storfjorden, SE Svalbard. AGU Fall Meeting 2016 2016-12-12 - 2016-12-16 2016. Perez, Lara; Nielsen, Tove; Andreassen, Karin; Rasmussen, Tine Lander; Winsborrow, Monica. Interaction of Cryospheric and Oceanographic Processes Along the Central-East Greenland Margin. AGU Fall Meeting 2016 2016-12-12 - 2016-12-16 2016. Zamelczyk, Kasia; Rasmussen, Tine Lander. Ocean acidification and oceanic changes over the past 30,000 years: planktic foraminifera and calcium carbonate preservation in the Fram Strait. Steering Committee -Advisory Board Meeting with CAGE 2016 team 2016-11-28 - 2016-11-29 2016. Rasmussen, Tine Lander. WP6 Pleistocene to Present: Methane, ocean acidification and CO2. Steering Committee -Advisory Board Meeting with CAGE 2016 team 2016-11-28 - 2016-11-29 2016. Rasmussen, Tine Lander; Nielsen, Tove; Laier, Troels; Ezat, Mohamed M.; Meilland, Julie; Ofstad, Siri; Nystedt, Elina; Pecori, Evelyn. CAGE-PWC April Cruise to the Western Svalbard Margin on R/V Helmer Hanssen, April 22nd – May 1st, 2016. 2016. Zamelczyk, Kasia; Rasmussen, Tine Lander; Groeneveld, Jeroen; Raitzsch, Markus. Paleoceanographic changes and near sea surface temperatures (SST) in the western-central Fram Strait over the last 47kyr. 12th International Conference on Paleoceanography (ICP12) 2016-08-29 - 2016-09-02 2016. Eilertsen, Vårin Trælvik; Rasmussen, Tine Lander. Reconstructions of paleoceanography and ice retreat based on benthic foraminifera, stable isotopes and sedimentological investigations from the northwestern Barents Sea south of Nordaustlandet, Svalbard. 2016. Tønnessen, Lasse A.; Rasmussen, Tine Lander. Paleoceanographic development in Leirdjupet, during the last deglaciation. 2016. Lockwood, Christine Joanne; Noormets, Riko; Rasmussen, Tine Lander. Reconstruction of ice stream retreat and palaeoceanographic development during the deglaciation and Holocene in the Storfjorden Trough, Svalbard. Based on geophysical data, benthic foraminiferal and sedimentological records.. 2016. Zamelczyk, Kasia; Rasmussen, Tine Lander; Raitzsch, Markus. Surface water mass distribution, ocean chemistry changes and sea ice conditions in the central Fram Strait over the last 47ka. EGU General Assembly 2016 2016-04-17 - 2016. Kovalenko, Boriss; Rasmussen, Tine Lander. Palaeoceanographic development in Leirdjupet Trough, western Barents Sea, during the Holocene: evidence from foraminiferal, isotopic and sedimentological records. (fulltekst) 2016. Myrvang, Karoline; Rasmussen, Tine Lander. Correlation between changes in paleoceanography, paleoclimate and methane seepage on Vestnesa Ridge, eastern Fram Strait - S. (fulltekst) 2016. Jönsdottir, Björg; Rasmussen, Tine Lander. High-resolution study of selected Dansgaard- Oeschger events and Heinrich event 4 42,189–33,393 cal. years BP. (fulltekst) 2015. Arnardottir, Erna Osk; Rasmussen, Tine Lander. Reconstruction of Holocene Paleoenvironment in Smeerenburgfjorden, northwest Svalbard based on benthic foraminifera and sedimentological investigations. (fulltekst) 2015. Rasmussen, Tine Lander. Cruise report CAGE 15-­AMGG. 2015. Rasmussen, Tine Lander. Cruise report CAGE 15-­1. 2015. Abbott, P.; Davies, S.; Griggs, A.; Bourne, A.; Cook, E.; Pearce, N.; Austin, W.; Chapman, M.; Hall, I.; Purcell, C.; Scourse, J; Rasmussen, Tine Lander. TRACEing Last Glacial Period (25-80 ka b2k) tephra horizons within North Atlantic marine cores and exploring links to the Greenland ice-cores. AGU Fall Meeting 2015 2015-12-14 - 2015-12-19 2015. Chauhan, Teena; Noormets, Riko; Rasmussen, Tine Lander. Late Quaternary paleoceanography of the northern continental margin of Svalbard. (fulltekst) 2015 ISBN 978-82-8236-186-6. Jessen, Simon Pind; Rasmussen, Tine Lander. Ice rafting, Ocean circulation and Glacial activity on the western Svalbard margin 0–74,000 years BP. 2015 ISBN 978-82-8236-186-6. Rasmussen, Tine Lander; Rydningen, Tom Arne; Sztybor, Kamila; Osti, Giacomo; Dijkstra, Noortje; Jernas, Patrycja Ewa; Schneider, Andrea. Educational cruises to Malangen, Kvalsund, Balsfjorden, and Ullsfjord GEO-3111 Reconstructing Marine Climate and Environments, GEO-3121 Marine Geology and GEO-3122 Micropaleontology on R/V Helmer Hanssen, October 29th-November 2nd, 2015. 2015. Consolaro, Chiara; Rasmussen, Tine Lander. Carbon isotope excursions and palaeoceanographic evolution of the eastern Fram Strait in the last 14 kyr. CRES conference 2015-11-18 - 2015-11-18 2015. Hoff, Ulrike; Rasmussen, Tine Lander; Ezat, M.. Subarctic marine diatom assemblages off the Faroe Islands - warm vs. cold.. 5th Polar Marine Diatom Taxonomy and Ecology Workshop 2015-07-16 - 2015-07-24 2015. Zamelczyk, Katarzyna; Rasmussen, Tine Lander; Manno, Clara; Bijma, Jelle. Planktonic foraminifera response to climate and ocean chemistry changes during the past two millennia in the Fram Strait. Final Workshop & Short Course on Culturing of Planktonic Foraminifera 2015-08-31 - 2015-09-04 2015. Rasmussen, Tine Lander; Thomsen, Erik. Gåden om Istidens Klimaskift. Rød Sne 2015-06-12 - 2015-08-23 2015. Consolaro, Chiara; Rasmussen, Tine Lander. Benthonic and planktonic foraminifera of the last 14 ka from a pockmark field on the Vestnesa Ridge, eastern Fram Strait. The Micropalaeontological Society. Foraminifera and Calacareous Nannofossil Groups, Spring Meeting 2015-06-14 - 2015-06-18 2015. Zamelczyk, Katarzyna; Rasmussen, Tine Lander; Manno, Clara; Bauerfeind, Eduard. From the surface to the bottom of the ocean: Planktonic foraminifera response to Arctic warming and ocean acidification. Gordon Research Conference, Polar Marine Science 2015-03-15 - 2015-03-20 2015. Zamelczyk, Katarzyna; Rasmussen, Tine Lander; Manno, Clara. Planktonic foraminifera response to climate and ocean chemistry changes during the past two millennia in the Arctic. Arctic Frontiers, climate and energy 2015 2015-01-21 - 2015-01-23 2015. Rasmussen, Tine Lander; Thomsen, E.; Nielsen, T.. The Arctic Ocean in response to millennial time scale paleoceanographic changes during the last glaciation, 70-25 years BP. EGU General Assembly 2014 2014-04-27 - 2014-05-02 2014. Rasmussen, Tine Lander; Thomsen, E.. Rapid response of Arctic land ice during Dansgaard-Oeschger events and water exchange between the Atlantic and Arctic oceans. AGU Fall Meeting 2014 2014-12-15 - 2014-12-19 2014. Nielsen, T.; Bjerager, M.; Lindstrom, S.; Nøhr-Hansen, N.; Rasmussen, Tine Lander. Pre-breakup age of East Greenland Ridge strata. EGU General Assembly 2014 2014-04-27 - 2014-05-02 2014. Abbott, PM; Davies, S.; Griggs, A.; Bourne, A.; Cook, E.; Austin, W; Chapman, M.; Hall, I.; Purcell, C.; Rasmussen, Tine Lander; Scourse, J. TRACEing Last Glacial Period (25-80 ka b2k) Tephra Horizons between North Atlantic marine-cores and the Greenland ice-cores. EGU General Assembly 2014 2014-04-26 - 2014-05-02 2014. Michel, E; Vivier, F.; Lansard, Bruno; Waelbroeck, C; Laurenco, A.; Bouruet-Aubertot, P.; Vancoppenolle, M.; Cuypers, Y.; Boutin, J.; Madec, G.; Morata, Nathalie; Weill, A; Schiebel, R.; Rousset, C.; Bopp, L; Eymard, L.; Merlivat, L.; Benshila, R.; Howa, H.; Dokken, T.; Fer, Ilker; Rasmussen, Tine Lander; Chierici, M.; Fransson, A.. Physical processes associated to brine formation and the influence of brine on carbon fluxes and deep ocean circulation. Bordeaux Workshop. The Changing Arctic and Sub-Arctic Marine Environment: Proxy and Model Based Reconstructions 2014-02-04 - 2014-02-06 2014. Yasuhara, Moriaki; Okahashi, Hisayo; Cronin, Thomas M.; Rasmussen, Tine Lander; Hunt, Gene. Sea life booms in hot climate. Nature 2014; Volum 509. ISSN 0028-0836.s 137 - .s doi: doi:10.1038/509137c. Ezat, Mohamed M.; Rasmussen, Tine Lander; Honiesch, B.; Olsen, J; Groeneveld, J.. Reconstructing the subsurface pCO2, nutrients enrichment and ventilation in the Nordic seas during the last 140,000 years. IPODS-OC3 meeting 'Deglacial Deep Ocean Circulation and Biogeochemical Cycling 2014-09-30 - 2014-10-03 2014. Ezat, Mohamed M.; Rasmussen, Tine Lander; Honiesch, B.; Groeneveld, J.. Millennial Scale Variability in subsurface ρCO2 in the Norwegian Sea during the Last 42 kyr. Goldschmidt Conference 2014-06-08 - 2014-06-13 2014. Rasmussen, Tine Lander; Dijkstra, Noortje; Ezat, Mohamed; Zamelczyk, Katarzyna; Sztybor, Kamila; Jernas, Patrycja Ewa. Cruise Report: Educational Cruises to Balsfjorden, Malangen and Ullsfjord on R/V Helmer Hanssen, October 24th-25th 2014. 2014. Zamelczyk, Katarzyna; Rasmussen, Tine Lander; Manno, Clara; Bijma, Jelle; Bauerfeind, Eduard. Arctic planktonic foraminifera under the stress of climate and ocean chemistry changes in the past and present. XXXIII SCAR Biennial Meetings & Open Science Conference 2014-08-25 - 2014-08-28 2014. Rasmussen, Tine Lander; Nielsen, Tove; Zamelczyk, Katarzyna; Sztybor, Kamila. CAGE-CO2 Cruise and GEO3144 Teaching Cruise to the western Svalbard margin and the Barents Sea on R/V Helmer Hanssen, July 21st – July 29th 2014. 2014. Nielsen, Tove; Bjerager, M.; Lindström, S.; Nøhr-Hansen, N.; Rasmussen, Tine Lander. Pre-breakup age of East Greenland Ridge strata. Geophysical Research Abstracts 2014. ISSN 1029-7006. Rasmussen, Tine Lander; Thomsen, Erik; Nielsen, Tove. The Arctic Ocean in response to millennial time scale paleoceanographic changes during the last glaciation, 70-25 years BP. Geophysical Research Abstracts 2014; Volum 16. ISSN 1029-7006. Chauhan, Teena; Noormets, Riko; Rasmussen, Tine Lander. Late Weichselian glacial history of southern Yermak Plateau. PAGES – 4th Open Science Meeting “The Past: A Compass for Future Earth” 2013-02-13 - 2013-02-16 2013. Chauhan, Teena; Noormets, Riko; Rasmussen, Tine Lander. Glacial history of southern Yermak Plateau. Annual seminar of workshop for Arctic Marine Geology & Geophysics Research School (AMGG) 2013-03-19 - 2013-03-19 2013. Rasmussen, Tine Lander; Nielsen, Tove; Zamelczyk, Kasia; Kuijpers, Antoon. CAGE, OA and Paleo-CIRCUS cruise to Northwest Norway, Jan Mayen and East Greenland. 2013. Rasmussen, Tine Lander; Zamelczyk, Kasia. CAGE: Ocean acidification in the Barents Sea cruise: West Barents Sea slope, Barents Sea, north Norway. 2013. Jessen, Simon Pind; Rasmussen, Tine Lander. Millennial scale variability in high arctic oceanography and calving activity of the Svalbard-Barents Sea paleo-Ice Sheet (0-74 ka). Knowledge for the future - IAHS - IAPSO - IASPEI Joint Assembly 2013 2013-07-21 - 2013-07-26 2013. Jessen, Simon Pind; Rasmussen, Tine Lander. "Remote sensing” of the Svalbard-Barents Sea paleo-Ice Sheet 0-75 ka. Barents Sea Ice sheet - Insights into the climatic sensitivity of marine based ice sheets 2013-01-10 - 2013-01-12 2013. Ezat, Mohamed; Rasmussen, Tine Lander; Groeneveld, Jeroen. EOS Transactions AGU Fall Meeting Supplement. AGU Fall Meeting, 9-13 Dec, 2013 2013-12-09 - 2013-12-13 2013. Rasmussen, Tine Lander; Thomsen, Erik; Nielsen, Tove. Variations in the thermohaline circulation in response to millennial scale melting events in the eastern Fram Strait 70-20 kyr BP. 11th International Conference on Paleoceanography 2013-09-01 - 2013-09-06 2013. Zamelczyk, Katarzyna; Rasmussen, Tine Lander; Manno, Clara; Bijma, Jelle; Bauerfeind, Eduard. Planktonic foraminifera response to changing ocean chemistry: Recent and past records from the Fram Strait. 11th International Conference on Paleoceanography 2013-09-01 - 2013-09-06 2013. Hoff, Ulrike; Rasmussen, Tine Lander; Koc, Nalan; Meyer, Hanno; Stein, Ruediger; Fahl, Kirsten; Ezat, Mohamed. Diatom based sea surface temperature and sea-ice reconstructions of the past ~130 ka off Faroe Islands (Nordic seas). 11th International Conference on Paleoceanography - ICP11 2013-09-01 - 2013-09-06 2013. Hoff, Ulrike; Rasmussen, Tine Lander; Koc, Nalan; Ezat, Mohamed. Sea surface temperature and sea-ice reconstructions of the past ~130 ka off Faroe Islands (Nordic seas) based on (polar) marine diatoms. 4th Polar Marine Diatom Workshop 2013-08-04 - 2013-08-09 2013. Chauhan, Teena; Rasmussen, Tine Lander; Noormets, Riko; Jacobsson, Martin; Hogan, Kelly. Glacial history and paleoceanography of the southern Yermak Plateau since 132 ka BP. Proceeding of the Past Gateways, First International Conference and Workshop 2013.s 31 - 31. Zamelczyk, Katarzyna; Rasmussen, Tine Lander; Manno, Clara; Bauerfeind, Eduard; Bijma, Jelle. Past and present water chemistry changes: planktic foraminifera in the Fram Strait (preliminary results and plans). AMAP (Arctic Monitoring and Assesment programme) Abstract Volume 2013.s 25 - 25. Rasmussen, Tine Lander; Nielsen, Tove; Zamelczyk, Katarzyna; Kuijpers, Antoon. Cruise Report: CAGE, OA and Paleo-CIRCUS cruise to Northwest Norway, Jan Mayen and East Greenland: on R/V Helmer Hanssen, June 23rd to July 7th 2013. 2013. Rasmussen, Tine Lander; Zamelczyk, Katarzyna. Cruise Report: Ocean acidification in the Barents Sea cruise: West Barents Sea slope, Barents Sea, north Norway on R/V Helmer Hanssen, May 26th – June 1st 2013. 2013. Griggs, A.; Davies, S.M. 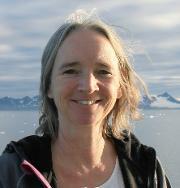 ; Rasmussen, Tine Lander; Hall, I.R.. Constraining rapid climatic events in the North Atlantic using tephrochronology. Abstracts Volume and Programme COST-INTIMATE Annual Spring Meeting 2013.s 52 - 52. Inceoglu, F.; Olsen, J.; Rasmussen, Tine Lander; Singarayer, J.S. ; Austin, W.E.N.. Modeling Surface Ocean 14C Variability during MIS 3 with GENIE-1: An outline. Abstracts Volume and Programme COST-INTIMATE Annual Spring Meeting 2013.s 54 - 54. Olsen, J.; Rasmussen, Tine Lander; Reimer, Paula J.. North Atlantic Surface Ocean 14C variability between 30 – 40 kyr BP. Abstracts Volume and Programme COST-INTIMATE Annual Spring Meeting 2013.s 26 - 26. Husum, Katrine; Rasmussen, Tine Lander; Sørensen, Steffen Aagaard; Zamelczyk, Katarzyna; Berben, Sarah; Hald, Morten. New Holocene sea surface and subsurface temperature reconstructions from the European Arctic: implications for the inflow of Atlantic Water. Holocene Climate Change 2013-04-04 - 2013-04-05 2013. Hoff, Ulrike; Rasmussen, Tine Lander; Koc, Nalan; Ezat, Mohamed. The diatoms of the last ~130,000 years in the Nordic seas: reconstruction of SST and sea-ice variations. Annual Workshop of PhD Trainee School in Arctic Marine Geology & Geophysics 2013-03-19 - 2013-03-19 2013. Chauhan, Teena; Noormets, Riko; Rasmussen, Tine Lander. Late Weichselian glacial history of the southern Yermak Plateau – preliminary results of a marine acoustic and sedimentological study. Joint workshop for Arctic Marine Geology & Geophysics Research School (AMGG) and Training through Research Program (TTR) Post-cruise meeting 2012-03-26 - 2012-03-27 2012. Chauhan, Teena; Noormets, Riko; Rasmussen, Tine Lander. Late Weichselian glacial history of southern Yermak Plateau-Preliminary results of marine acoustic and sedimentological study. The 6th Arctic Paleoclimate and its Extremes (APEX) meeting 2012-05-15 - 2012-05-18 2012. Noormets, Riko; Hogan, Kelly; Austin, William; Chauhan, Teena; Roy, Srikumar; Rasmussen, Tine Lander; Dowdeswell, Julian. Submarine glacial landform assemblages on the outer continental shelf north of Nordaustlandet, Svalbard. The 6th Arctic Paleoclimate and its Extremes (APEX) meeting 2012-05-15 - 2012-05-18 2012. Rasmussen, Tine Lander; Nielsen, Tove. Cruise Report: Ocean acidification in the Fram Strait/Paleo-CIRCUS cruise: West Barents Sea slope, East Greenland Ridge, Knipovich Ridge and Storfjorden on R/V Helmer Hanssen, October 17th – October 31st 2012. 2012. Nielsen, Tove; Laier, Troels; Rasmussen, Tine Lander; Nørgaard-Pedersen, N.; Sztybor, Kamila; Hansen, Egon; Stolk, A.; Kuijpers, Antoon. Surveying for gashydrates offshore Central West Greenland, MAGAS Cruise Report – R/V Paamiut 9th to 17th July 2012. 2012. Wastegård, Stefan; Davies, Siwan M.; Abbott, Peter M.; Rasmussen, Tine Lander. Tephrochronology of the North Atlantic region: linking marine, terrestrial and ice-core records from the last glacial period. IGS-Nordic Branch Book of Abstracts 2012 (2).s 78 - 78. Zamelczyk, Katarzyna; Rasmussen, Tine Lander. Ocean acidification and oceanic changes over the past 30,000 years: planktic foraminifera and calcium carbonate preservation in the Fram Strait. Third International Symposium on the Ocean in a High-CO2 World, Monterrey, California, USA, September 24-27, 2012 2012-09-24 - 2012-09-27 2012. Jessen, Simon Pind; Rasmussen, Tine Lander. A high resolution chronology for the western Svalbard slope 0-74,000 years BP and millennial scale reconstruction of deep ocean circulaiton and activity of the Svalbard-Barents Sea Ice Sheet. Arctic Frontiers 2012-01-23 - 2012. Hoff, Ulrike; Rasmussen, Tine Lander; Koc, Nalan; Ezat, Mohamed. The last 150,000 years in the Nordic seas: Sea surface temperature and sea ice reconstructions based on diatoms and organic proxies. 22nd International Diatom Symposium Ghent 2012-08-26 - 2012-08-31 2012. Rasmussen, Tine Lander. Marine cores and tephra. SMART 4th Project meeting, May 2-3, 2012 2012-05-02 - 2012-05-03 2012. Rasmussen, Tine Lander; Olsen, Jesper; Wastegård, Stefan; Thomsen, Erik. Stratigraphy of three mid-late Weichselian tephra layers from the Faroe Islands margin. Geophysical Research Abstracts 2012; Volum 14. ISSN 1029-7006. Olsen, Jesper; Rasmussen, Tine Lander; Reimer, Paula J.. Constructing chronologies for marine records – are independent chronologies possible? New 14C data from the LINK15, North Atlantic. INTIMATE Workshop 2012.s 25 - 25. Rasmussen, Tine Lander; Olsen, Jesper; Wastegård, Stefan; Thomsen, Erik. Age and stratigraphy of three mid-late Weichselian tephra layers from the Faroe Islands margin. INTIMATE Workshop 2012.s 70 - 70. Rasmussen, Tine Lander; Olsen, Jesper; Wastegård, Stefan; Thomsen, Erik. Age and stratigraphy of three mid-late Weichselian tephra layers from the Faroe Islands margin. 30th Nordic Geological Winter Meeting, Reykjavík 2012 2012-01-09 - 2012-01-12 2012. Rasmussen, Tine Lander. Millennial scale circulation changes in the North Atlantic Ocean during the last glacial period: evidence from stable isotopes and foraminifera. Vinterkonferensen 2011 2011-01-11 - 2011-01-13 2011. Chauhan, Teena; Noormets, Riko; Rasmussen, Tine Lander. Late Weichselian ice sheet dynamics and deglaciation history of the northern and eastern Svalbard Margins. AMGG annual seminar 2011-03-15 - 2011-03-15 2011. Rasmussen, Tine Lander; Thomsen, Erik. Planktic foraminifera faunas, temperature and salinity in the Gulf Stream during the last 30,000 years: influence of meltwater via the Mississippi River. EOS : Transactions 2011. ISSN 0096-3941. Rasmussen, Tine Lander; Thomsen, Erik. Gåten om istidens brå klimaendringer. Klima 2011; Volum 6. ISSN 1504-8594.s 20 - 21.s doi: http://www.cicero.uio.no/fulltext/index.aspx?id=9213&lang=no. Rasmussen, Tine Lander; Thomsen, Erik. Istidens gådefulde klimaspring. Aktuel Naturvidenskab 2011; Volum 6. ISSN 1399-2309.s 14 - 18. Rasmussen, Tine Lander. Ocean circulation changes in the North Atlantic Ocean during the LGM and the deglaciation: evidence from stable isotopes and foraminifera. INTIMATE WG3 Workshop: The last deglaciation: towards model-data intergration 2011-11-03 - 2011-11-04 2011. Ruther, Denise Christina; Bjarnadóttir, Lilja Rún; Junttila, Juho; Husum, Katrine; Rasmussen, Tine Lander; Lucchi, Renata Giulia; Andreassen, Karin. Sedimentary environments in Kveithola, Barents Sea, during Latest Weichselian deglaciation and Holocene. APEX Fifth International Conference and Workshop: Quaternary Glacial and Climate Extremes 2011-06-01 - 2011-06-04 2011. Abbott, Peter M.; Austin, William E.N. ; Davies, Siwan M.; Pearce, N.J.G. ; Rasmussen, Tine Lander; Wastegård, Stefan; Hibbert, Fiona D.. Marine Isotope Stage 4 to 6 tephra horizons in the North Atlantic Ocean: the SMART perspective. The XVIII INQUA Congress 20-27 July 2011 2011. Klitgaard Kristensen, Dorthe; Rasmussen, Tine Lander; Koc, Nalan. The flow of Atlantic Water and deglaciation of the Svalbard-Barents Sea ice-sheet east of Svalbard during the last 16,500 years. Apex Fifth International Conference and Workshop Conference Proceedings 2011.s 29 - 29. Zamelczyk, Katarzyna; Rasmussen, Tine Lander; de Vernal, A; Haflidason, Haflidi; Husum, Katrine; Bonnet, S.; Hald, Morten. Water mass distribution and sea ice conditions in the central Fram Strait over the last 20,000 years inferred from planktic foraminifera and dinocsyst assemblages, geochemistry and sedimentological evidences. 41st annual Arctic Workshop 2011-03-02 - 2011-03-04 2011. Zamelczyk, Katarzyna; Husum, Katrine; Rasmussen, Tine Lander; Hald, Morten. Atlantic Water advection to the Fram Strait during the last interglacial-glacial period (29,000-16,000 years BP) elucidated from planktic foraminifera and geochemical and stable isotope evidences. EGU General Assembly 2011-04-03 - 2011-04-08 2011. Wastegård, Stefan; Davies, Siwan M; Abbott, Peter M.; Austin, William E.N. ; Rasmussen, Tine Lander. Tephrochronology of the North Atlantic region: linking marine, terrestrial and ice-core records from MIS 6-2. Abstract Volume Deutsches GeoForschungaZentrum GFZ Scientific Technical Report 2011; Volum 11 (1). ISSN 1610-0956.s 59 - 59.s doi: 10.2312/GFZ.b103-11019. Olsen, Jesper; Rasmussen, Tine Lander; REIMER, PAULA J.. MIS3 14C reservoir ages changes inferred from the LINK15 sediment core, Faroe-Shetland channel, North Atlantic. Abstract Volume Deutsches GeoForschungaZentrum GFZ Scientific Technical Report 2011; Volum 11 (1). ISSN 1610-0956.s 37 - 37.s doi: 10.2312/GFZ.b103-11019. Klitgaard Kristensen, Dorthe; Rasmussen, Tine Lander; Skirbekk, Kari; Koc, Nalan; Slubowska-Woldengen, Marta. The oceanic heat engine of the Arctic – tracing variability of Atlantic Water inflow into the Arctic Ocean during the past 17,000 years. Abstracts and Proceedings of the Geological Society of Norway 2011; Volum 1.s 52 - 52. Rasmussen, Tine Lander; Thomsen, Erik. Millennial scale circulation changes in the North Atlantic Ocean during the last glacial period: evidence from stable isotopes and foraminifera. Abstracts and Proceedings of the Geological Society of Norway 2011; Volum 1.s 82 - 83. Jessen, Simon Pind; Rasmussen, Tine Lander. A re-dated glaciation history for the western Svalbard margin 30,000 - 0 years BP. IPY Oslo Science Conference 2010-06-07 - 2010-06-11 2010. Zamelczyk, Katarzyna; Husum, Katrine; Rasmussen, Tine Lander; Hald, Morten. Atlantic Water advection to the Fram Strait 29,000-16,000 years BP: evidence from distribution patterns of planktic foraminifera faunas and geochemistry. Workshop in Arctic Marie Geology and Geophysics 2010-03-15 - 2010. Rasmussen, Tine Lander; Jessen, Simon Pind. Reconstructing high latitude Ocean-Ice sheet interactions in high resolution. SciencePub 4th and Final Annual Meeting 2010-11-23 - 2010-11-25 2010. Rasmussen, Tine Lander; Thomsen, Erik. Stable isotopes and brine formation: evidence from the Nordic seas during the Holocene and glacial periods. ICP10 International Conference on Paleoceanography 2010 2010-08-30 - 2010-09-03 2010. Jessen, Simon Pind; Rasmussen, Tine Lander. Subsurface temperature and ocean-atmosphere heat flux for the Svalbard margin 0 – 24,000 years BP. Arctic Frontiers : Abstracts 2010.s 34 - 34. Slubowska-Woldengen, Marta; Rasmussen, Tine Lander; Klitgaard Kristensen, Dorthe; Koc, Nalan; Jennings, Anne E.; Hald, Morten. Time-slice reconstruction of Atlantic Water flow changes at the continental margins of the Nordic seas during the last 16,000 cal yr B.P. Arctic Frontiers : Abstracts 2010.s 192 - 192. Storey, Michael; Stecher, O.; Rasmussen, Tine Lander; Wollf, J.A.. 40Ar/39Ar age determinations of the Thorsmörk ignimbrite, Iceland and geochemical correlation with North Atlantic Z2 ash. Geophysical Research Abstracts 2010; Volum 12. ISSN 1029-7006. Hald, Morten; Husum, Katrine; Klitgaard Kristensen, Dorthe; Koc, Nalan; Miettinen, Arto; Jessen, Simon Pind; Rasmussen, Tine Lander; Skirbekk, Kari; Sørensen, Steffen Aagaard; Wilson, Lindsay judith; Zamelczyk, Katarzyna. Past oceanographic changes in the European Arctic: New results from the IPY SciencePub project. IPY Science Conference 2010-06-08 - 2010-06-12 2010. Jessen, Simon Pind; Rasmussen, Tine Lander. A new marine chronology for the western Svalbard slope 0-30,000 cal years BP. Seminar in the Ph D trainee school in Arctic Marine Geology and Geophysics (AMGG) 2010-01-18 - 2010-01-19 2010. Rasmussen, Tine Lander. Changes in Atlantic Water inflow to the Nordic seas during the Holocene. Workshop on Climate and Ocean Currents 2009-06-23 - 2009-06-26 2009. Jessen, Simon Pind; Rasmussen, Tine Lander. Millennial scale change in climate and iceberg calving on the Svalbard margin during MIS 2 and 3. (fulltekst) Geophysical Research Abstracts 2009; Volum 11 (EGU2009-952-1). ISSN 1029-7006. Rasmussen, Tine Lander; Thomsen, Erik. Brine formation in the Nordic seas: Stable isotope signals in foraminifera from Holocene and glacial sediments. EOS : Transactions 2009; Volum 90. ISSN 0096-3941. Jessen, Simon Pind; Rasmussen, Tine Lander. Activity of the Svalbard-Barents Sea paleo-ice sheet (72-82 °N) on millennial and orbital time scales 0 – 80,000 years BP. EOS : Transactions 2009; Volum 90. ISSN 0096-3941. Jessen, Simon Pind; Rasmussen, Tine Lander. Magnetic susceptibility and lithology chronology for the western Svalbard slope - An updated glaciation history for the western Svalbard margin 0-30,000 years BP. 3rd SciencePub (IPY project) annual meeting. 3rd annual SciencePub project meeting 2009-11-09 - 2009-11-11 2009. Skirbekk, Kari; Klitgaard Kristensen, Dorthe; Koc, Nalan; Rasmussen, Tine Lander. Holocene variations of Atlantic water inflow and glacial activity in Kongsfjorden, Svalbard. Arctic Workshop 2008-03-05 - 2008. Jessen, Simon P.; Rasmussen, Tine Lander. Millenial scale climate change during Marine Isotope Stage (MIS) 3 and 2 - Preliminary results from the West Svalbard Slope. Geophysical Research Abstracts 2008; Volum 10. ISSN 1029-7006. Plassen, Liv; Rasmussen, Tine Lander; Klitgaard Kristensen, Dorthe; Nielsen, Tove; Koc, Nalan. Deglaciation history of Storfjorden, southwestern Svalbard, preliminary results. 33rd International geological congress, Oslo aug. 6-14th 2008. Jessen, Simon Pind; Rasmussen, Tine Lander. The Svalbard land ice activity on stadial / interstadial time scales. Final RESOLuTION workshop 2008-09-30 - 2008-10-03 2008. Rasmussen, Tine Lander. Ventilation of intermediate water in the Nordic seas on millennial time scales, 65-14 kyr BP. Final RESOLuTION Workshop, Bordeaux, France, Sept. 28-Oct. 2 2008 2008-09-28 - 2008-10-02 2008. Rasmussen, Tine Lander. Gulfstrømmen og klima: Kan Gulfstrømmen stoppe?. Presentasjon av forskningsresultater for lærere fra videregående- og ungsomsskoler 2007-04-26 - 2007-05-01 2007. Rasmussen, Tine Lander; Thomsen, Erik; Slubowska-Woldengen, Marta; Jessen, Simon Pind; Solheim, Anders; Koc, Nalan. The interplay of Atlantic Water, polar water and meltwater on the southwestern Svalbard margin (76°N) during the last 20,000 14C yr. NGF abstracts and proceedings 2007 (1).s 78 - 78. Rasmussen, Tine Lander; Thomsen, Erik; Slubowska-Woldengen, Marta; Jessen, Simon P.; Solheim, Anders; Koc, Nalan. Water masses and brine formation on the southwestern Svalbard margin (76°N) during the last 20,000 14C years. AGU Fall Meeting 10-14 Dec. 2007 2007. Snowball, Ian; Nilsson, Andreas; Rasmussen, Tine Lander. Late Quaternary Geomagnetic Excursions at High Northern Latitudes in Marine Sediments: Reproducing Results for the Wrong Reasons?. AGU Fall Meeting 10-14 Dec. 2007 2007. Klitgaard Kristensen, Dorthe; Slubowska-Woldengen, Marta; Koc, Nalan; Rasmussen, Tine Lander; Hald, Morten; Jennings, Anne E.. Time-slice reconstructions of ocean circulation changes at the continental margins of the Nordic and Barents Seas during the last 16,000 cal yr B.P. Geophysical Research Abstracts 2007; Volum 9. ISSN 1029-7006. Plassen, Liv; Klitgaard Kristensen, Dorthe; Koc, Nalan; Skirbekk, Kari; Rasmussen, Tine Lander; Ottesen, Dag. Outer Kongsfjord glacial stillstand or readvance at 15.5 kyr BP; evidence from geophysical and sedimentological data. Abstracts and Proceedings of the Geological Society of Norway 2007; Volum 2.s 282 - 282. Rasmussen, Tine Lander; Thomsen, Erik; Slubowska, Martha; Jessen, Simon Pind; Solheim, Anders; Koc, Nalan. Water masses and brine formation on the southwestern Svalbard margin (76°N) during the last 20,000 14C years. EOS : Transactions 2007. ISSN 0096-3941. Snowball, Ian; Nilsson, Andreas; Rasmussen, Tine Lander. Late Quaternary Geomagnetic Excursions at High Northern Latitudes in Marine Sediments: Reproducing Results for the Wrong Reasons?. EOS : Transactions 2007. ISSN 0096-3941. Klitgaard Kristensen, Dorthe; Skirbekk, Kari; Koc, Nalan; Rasmussen, Tine Lander. Changes in the flow of Atlantic water into Kongsfjorden, Svalbard, through the Holocene. Geophysical Research Abstracts 2007; Volum 10. ISSN 1029-7006. Klitgaard Kristensen, Dorthe; Koc, Nalan; Rasmussen, Tine Lander; Slubowska, Martha. Havsirkulationsendringer i Arktis gjennom nåværende mellomistid. Cicerone 2007; Volum 1. ISSN 0804-0508.s 27 - 29. Wohlfarth, Barbara; Helmens, Karin; Wastegård, Stefan; Bohncke, Sjoerd; Renssen, Hans; Sanchez-Goni, Maria Fernanda; d'Errico, Francesco; Rasmussen, Tine Lander; Johnsen, Sigfus J.; Spötl, C.. RESOLuTION – Rapid climatic and environmental shifts during Oxygen Isotope Stages 2 and 3 – linking high-resolution terrestrial, ice core and marine archives. Pages News 2007; Volum 15 (1). ISSN 1563-0803.s 7 - 8. Jessen, Simon Pind; Rasmussen, Tine Lander. Response of the Svalbard-Barents Sea Ice Sheet to millenial scale climate change - Preliminary results from an ongoing core study on the West Svalbard Slope. Workshop in Natural Climate Change 2007-11-12 - 2007-11-14 2007. Jessen, Simon Pind; Rasmussen, Tine Lander; Solheim, Anders; Nielsen, Tove. A stacked magnetic susceptibility chronology for the W. Svalbard margin (0-23,000 14C yr BP). ICAM V 2007-09-03 - 2007-09-05 2007. Jessen, Simon Pind; Rasmussen, Tine Lander. Paleoceanography on the West Svalbard Margin(1) during the last 80 000 years 1: And the Nordic Seas and North Atlantic. SciencePub kickoff meeting 2007-07-06 - 2007-07-07 2007. Slubowska, Martha; Koc, Nalan; Rasmussen, Tine Lander; Klitgaard Kristensen, Dorthe; Hald, Morten. Time-Slice Reconstructions of Ocean Circulation Changes at the Continental Margins of the Nordic and Barents Seas through the last 16 cal kyr B.P. European Geosciences Union, General Assembly 2006 2006-04-02 - 2006-04-07 2006. Rasmussen, Tine Lander; Hastrup, Annette; Thomsen, Erik. Lagoon to Deep-Water Foraminifera and Ostracods from the Plio-Pleistocene Kalithea Bay Section, Rhodes, Greece. Anuário do Instituto de Geociências 2006; Volum 29 (1). ISSN 0101-9759.s 292 - 293. Thomsen, Erik; Rasmussen, Tine Lander. On the utilization of coccoliths in Early Cretaceous agglutinated foraminifera: grain handling and wall structure. Anuário do Instituto de Geociências 2006; Volum 29 (1). ISSN 0101-9759.s 363 - 363. Rasmussen, Tine Lander. Fortidens og fremtidens klima. Tromsø 2006 (298).s 16 - 17. Rasmussen, Tine Lander. Marine Dansgaard-Oeschger events at the Svalbard margin: core studies and physical modeling. Kick-off Seminar, Forskerskolen Marin Geologi og Geofysikk 2006-01-30 - 2006-01-31 2006. Jessen, Simon Pind; Rasmussen, Tine Lander. Dansgaard/Oeshger Oscillations on the West Svalbard Margin. 2nd RESOLuTION workshop 2006-09-27 - 2006-10-01 2006. Rasmussen, Tine Lander. Ocean control of rapid climate change: new evidence from the Faeroe-Shetland Channel. ESF-Euroclimate RESOLuTION Workshop 2006-09-27 - 2006-10-01 2006. Slubowska, Marta A.; Rasmussen, Tine Lander; Koc, Nalan; Klitgaard Kristensen, Dorthe; Nilsen, Frank; Solheim, Anders. Advection of Atlantic Water to the Western and Northern Svalbard shelves through the last 17.5 ka cal yr BP. EOS : Transactions 2005; Volum 86 (52). ISSN 0096-3941. Klitgaard Kristensen, Dorthe; Rasmussen, Tine Lander; Koc, Nalan; Slubowska, Marta A.. Havet og klimaendringer. Svalbardposten 2005 (50).s 35 - 37. Jessen, Simon Pind; Rasmussen, Tine Lander. Klimasvingninger de sidste 50.000 år afspejlet i IRD-sammensætnigen vest for Spitsbergen. Dansk Havforskermøde 2005 (sammendrag) 2005-02-01 - 2005-02-03 2005. Rasmussen, Tine Lander. High-latitude North Atlantic. Euroclimate RESOLuTION Meeting 2005-09-28 - 2005-10-02 2005. Rasmussen, Tine Lander; Thomsen, Erik. Northern Hemisphere Dansgaard-Oeschger events during the last glacial: The role of the North Atlantic Drift. International Conference on Paleoceanography, ICP-VIII 2004-09-05 - 2004-09-10 2004. Rasmussen, Tine Lander; Thomsen, Erik; Nielsen, Tove; Heinemeier, Jan. Marine core studies from the Faeroe Islands area: time-slice reconstructions of Late Glacial and Holocene surface ocean circulation and climate. GFF 2004; Volum 126 (1). ISSN 1103-5897.s 131 - 131. Wastegård, Stefan; Björck, Svante; Grauert, Marianne; Greve, Charlotte; Hannon, Gina E.; Rasmussen, Tine Lander. Towards a Late Quaternary tephrochronology for the Faroe Islands, North Atlantic. GFF 2004; Volum 126. ISSN 1103-5897.s 139 - 139. Slubowska, Marta A.; Koç, Nalan; Rasmussen, Tine Lander; Klitgaard Kristensen, Dorthe. Holocene climate variability at the northern Svalbard continental margin, 76-80 ºN. Quaternary Environment of the Eurasian North, (QUEEN)Terminal Workshop 2004-10-28 - 2004-10-31 2004. Slubowska, Marta A.; Koç, Nalan; Rasmussen, Tine Lander; Klitgaard Kristensen, Dorthe. Holocene climate changes at the northern Svalbard continental margin. 33rd Annual Arctic Workshop, 2003 2003-04-03 - 2003-04-05 2003. Rasmussen, Tine Lander. Marine core studies from the Faeroe Islands area. NORDLINK-Workshop 2003-06-03 - 2003. Rasmussen, Tine Lander. Changes in planktic and benthic foraminifera and ocean circulation in the central North Atlantic Ocean during the last 60,000 years. LAMSCAN Workshop and Excursions, Iceland 2002-08-10 - 2002-08-26 2002. Slubowska, Marta A.; Koç, Nalan; Rasmussen, Tine Lander; Klitgaard Kristensen, Dorthe; Hasle, K.; Forsberg, C. F.; Solheim, Anders. The Holocene and the Late Deglaciation: timing and development on the northern Svalbard margin. EOS : Transactions 2002; Volum 83 (47). ISSN 0096-3941.s 890 - 890. Rasmussen, Tine Lander; Oppo, Delia W.; Thomsen, Erik; Lehman, Scott J.. Deep-sea records from the SE Labrador Sea: timing of ice-rafting events during the last 150,000 years. International Conference on Paleoceanography ICP-VII 2001-09-16 - 2001-09-21 2001. Moros, Matthias; Rasmussen, Tine Lander; Snowball, Ian; Nielsen, Tove; Kuijpers, Antoon; Dokken, Trond; Jansen, Eystein; McManus, J.F.. The quartz/plagioclase ratio: a sensitive proxy for IRD input in the Northern North Atlantic?. NGF abstracts and proceedings 2001; Volum 2.s 74 - 74. Knutz, Paul C.; Hall, Ian R.; Zahn, Reinar; Rasmussen, Tine Lander; Kuijpers, Antoon. Thermohaline forcing and the response of Western European ice sheets during the last glaciation. International Conference on Paleoceanography 2001-09-16 - 2001-09-21 2001. Rasmussen, Tine Lander; Thomsen, Erik; Van Weering, T. C. E.; Kuijpers, Antoon. Dansgaard- Oeschger cycles linked to paleoceanographic changes in the Norwegian-Greenland Seas since 150 kyr BP. SCOR-IMAGES Workshop, Trins, Austria, feb. 16-20, 2000 2000.s 27 - 27. Rasmussen, Tine Lander; Thomsen, Erik; Van Weering, T. C. E.. 150.000 years of climate and circulation changes at the Faeroe Margin: Foraminifera, isotope and IRD records. ENAM II and IGCP Workshop 432 (Contourites and Bottom Currents)Southampton 21-28 jan. 1999 1999.s 67 - 67. Rasmussen, Tine Lander; Thomsen, Erik; Van Weering, T. C. E.. Cyclic sedimentation on drift deposits in the southern Norwegian Sea related to paleoceanographic changes. IAS, 19th Regional European Meeting of Sedimentology, Copenhagen 1999 1999.s 206 - 206. Christiansen, Hanne H.; Humlum, Ole; Mortensen, Lis; Nielsen, Tove; Rasmussen, Tine Lander. Linking land and sea at the Faeroe Islands: Mapping and understanding North Atlantic changes. EOS : Transactions 1999; Volum 80 (46). ISSN 0096-3941.s 7 - 7. Rasmussen, Tine Lander; Balbon, Estelle; Labeyrie, Laurent; Thomsen, Erik; Turon, J.L. ; Van Weering, Tjeerd C.E.. Variability in deep water outflow since the penultimate interglacial (142,000- Recent) as recorded by benthic foraminifera. EOS : Transactions 1998; Volum 79 (17). ISSN 0096-3941.s 177 - 177. Rasmussen, Tine Lander; Balbon, Estelle; Labeyrie, Laurent; Thomsen, Erik; Turon, J.L. ; Van Weering, Tjeerd C.E.. Changes in deep outflow from the SE Norwegian Sea during the last 142,000 years. 6th International Conference on Paleoceanography, 24-28 August, Lisbon, Portugal 1998.s 190 - 190. Rasmussen, Tine Lander; Thomsen, Erik; Van Weering, Tjeerd C.E.. The Younger Dryas event in the SE Norwegian Sea: Surface and deep water conditions. EOS : Transactions 1996; Volum 77 (46). ISSN 0096-3941.s 24 - 24. Rasmussen, Tine Lander; Thomsen, Erik; Van Weering, Tjeerd C.E. ; Labeyrie, Laurent. Deep water circulation changes at the Faeroe Margin: Correlation with the Dansgaard-Oescher cycles during the last 58 ka. ENAM (European North Atlantic Margins) Meeting, Geilo, Norway, 23-27 April, 1996 1996. Rasmussen, Tine Lander; Van Weering, Tjeerd C.E. ; Labeyrie, Laurent. High resolution paleoceanography of the Faeroe-Shetland Channel during the last 87 ka. Applied Geoscience, The Marine Studies Group, Warwick, April 15-18, 1996 1996.s 65 - 65. Rasmussen, Tine Lander; Van Weering, Tjeerd C.E. ; Labeyrie, Laurent. Rapid circulation changes recorded at the Faeroe-Shetland Channel during the last 85 ka. 5th International Conference on Paleoceanography, ICPV, 10-14 October, Halifax, Nova Scotia, Canada, 1995 1995.s 112 - 112. Rasmussen, Tine Lander; Van Weering, Tjeerd C.E. ; Labeyrie, Laurent. Paleoceanography of the Faeroe- Shetland Channel: Correlation to continental records. The Royal Society of Edinburgh and The Grant Institute, University of Edinburgh, 1995 1995. Rasmussen, Tine Lander; Van Weering, Tjeerd C.E. ; Labeyrie, Laurent. Paleoceanography of the Faeroe- Shetland Channel during the last 85 ka. 1st Nordic Marine Sciences Meeting, Goeteborg, 1995 1995.s 51 - 51. Rasmussen, Tine Lander; Van Weering, Tjeerd C.E.. Paleoceanography of the Faeroe-Shetland Channel and the Eastern Faeroe Margin. 2nd EU Workshop on Exchange Processes at the Continental Ocean Margin in the North Atlantic, Belgium 1995 1995. Rasmussen, Tine Lander; Van Weering, Tjeerd C.E. ; Labeyrie, Laurent. Norwegian Sea Deep Water variability over the last 80 ka. 2e Netherlands Aardwetenschappelijke Congres 1994.s 140 - 140. Rasmussen, Tine Lander; Van Weering, Tjeerd C.E. ; Labeyrie, Laurent. The Younger Dryas event in piston cores from the Faeroe-Shetland Channel area. ARA Royal Netherlands Academy of Arts and Sciences 1994.s 28 - 28. Rasmussen, Tine Lander; Van Weering, Tjeerd C.E. ; Labeyrie, Laurent. Distribution of benthic and planktic foraminifera in a piston core from the Faroe-Shetland Channel. Terra 1993; Volum 5.s 717 - 717.